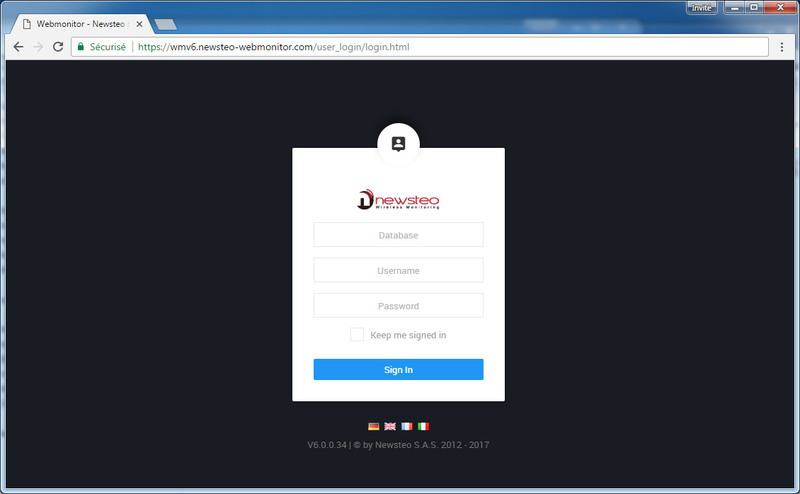 Webmonitor application is available to users who have subscribed to a Newsteo hosting offer. 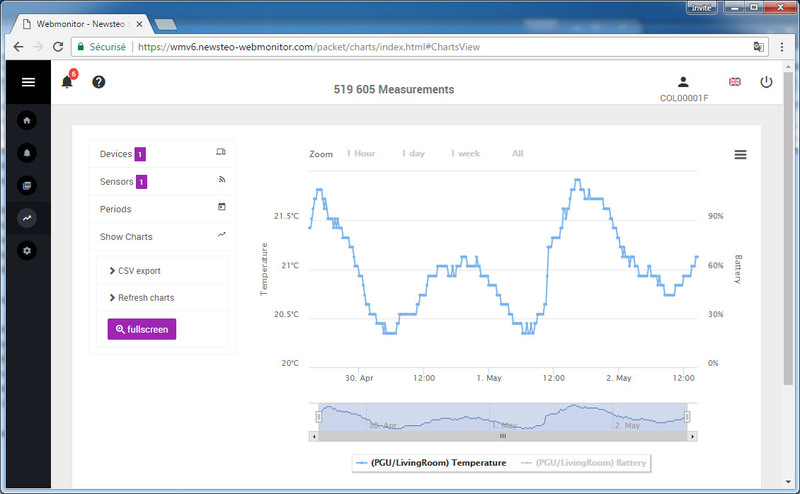 It is a website that allows any user to identify and then to access to the measurements of its Newsteo wireless sensors. 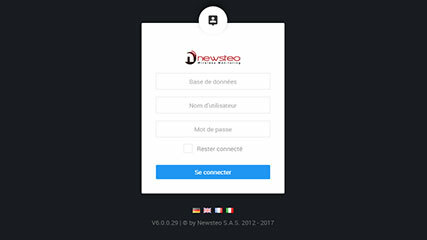 Connect to www.newsteo-webmonitor.com and access to a demo database by entering client / client / client within the three authentication fields. 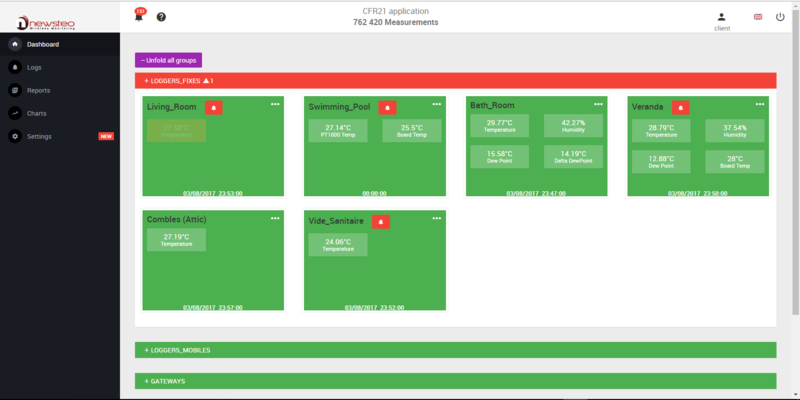 Discover the operating principles of Newsteo Webmonitor and all the features of our software! Access to the data is secure. Each user must identify himself. 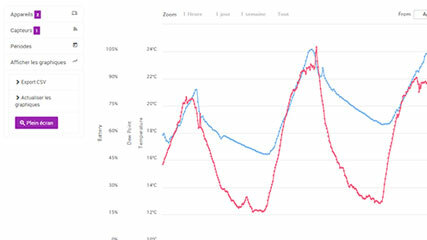 Whether there are loggers for temperature, humidity, crack meters … measurements of the loggers which are installed are displayed in the same interface. 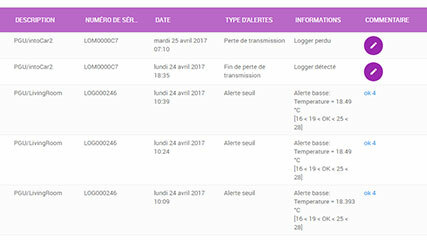 From a glance, the user knows if loggers were in alert, if some still are. 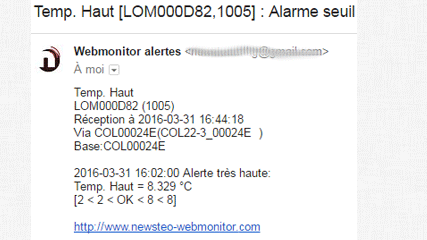 Real time alerts, sent by email. 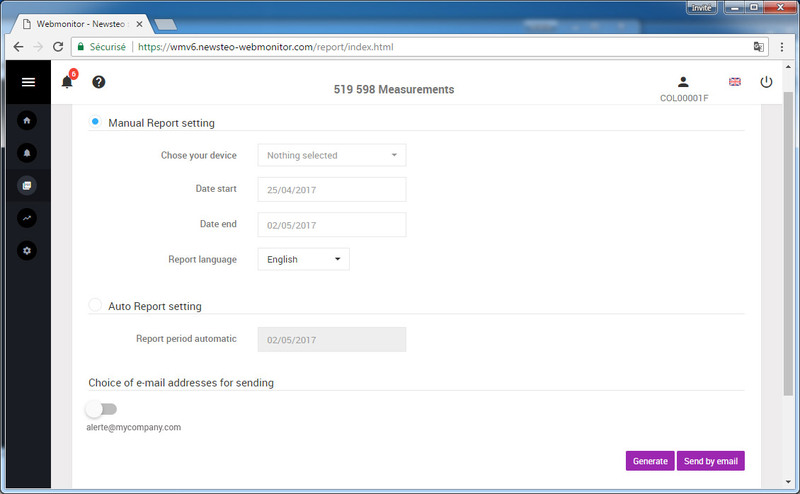 The measurements are grouped into an alert table. It is possible to comment and explain each alert. 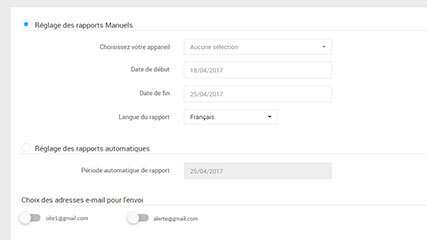 With a few clicks, set the automatic generation of PDF reports and receive them by mail every day, week or month. 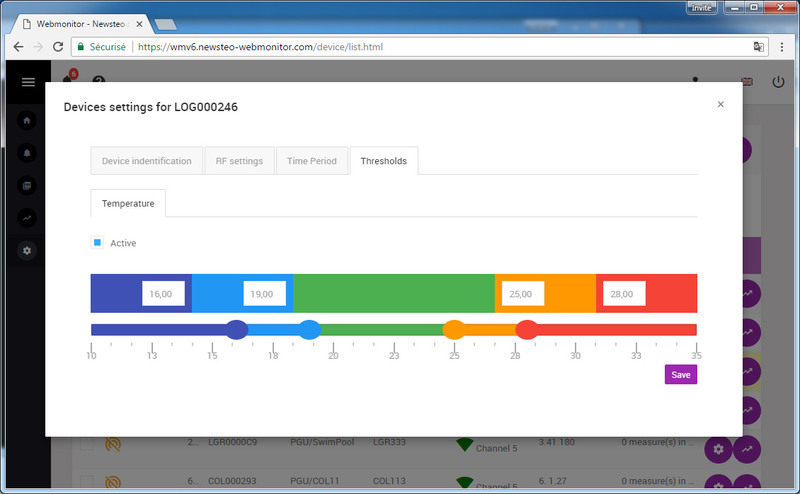 You can also generate reports on the fly, with the time range you want. 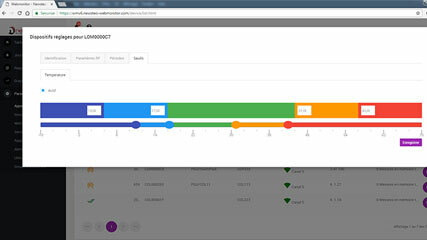 It allows to trace all actions done on the application and identify the author, in order to comply with CFR 21 part 11. 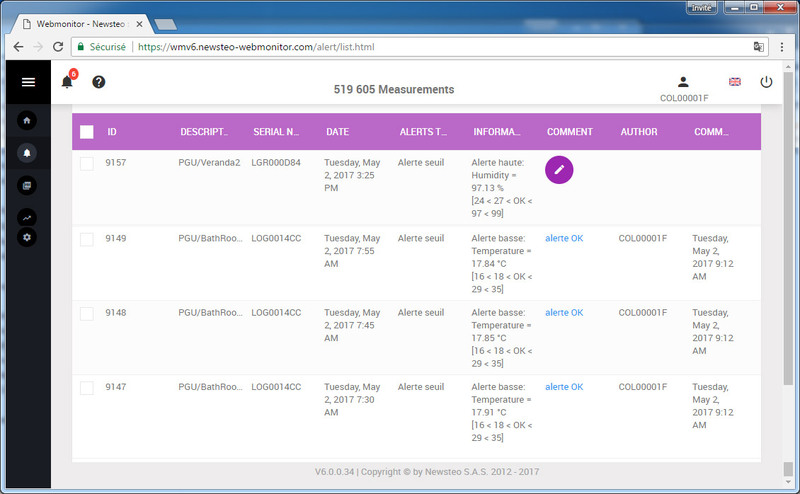 Data Loggers and Gatewaies can be configured remotely via the Webmonitor interface. It is not necessary to go on the installation anymore. The administration is performed by Newsteo. Each year, Newsteo provides a backup file, including all the measures of the year.